Home » Authors » AVX Corp., Fountain Inn, S.C.
AVX Corp., a leading manufacturer of passive components and interconnect solutions, has expanded its partnership with Modelithics, the leading RF/Microwave simulation model provider, with the addition of 45 new Modelithics® substrate scalable equivalent circuit models. AVX Corp., a leading manufacturer of passive components and interconnect solutions, has announced its high directivity 0302 thin film couplers for Wi-Fi bands—including the new, tight tolerance 0302 component—are now available through distribution. AVX Corp. announces the availability of new Modelithics models for its 0402 tight tolerance, high current, and high Q multilayer organic (MLO) inductor series. The latest additions to AVX’s Modelithics Component Model Library are part-value sensitive, substrate scalable, and fully integrated with a range of software applications. AVX Corp., a leading manufacturer of passive components and interconnect solutions, has announced that seven of its components have been featured on the 2013 Electronic Design “Top 101 Components” list. 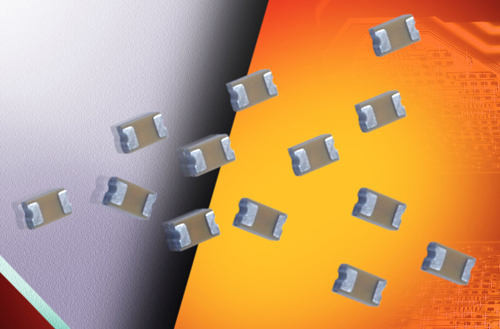 AVX Corp., a leading manufacturer of passive components and interconnect solutions, has surpassed previous milestones with the introduction of the new TCJ 100V and 125V tantalum polymer capacitors. As the highest rated voltage tantalum capacitors currently on the market, the new surface-mount chip capacitors provide excellent capacitance and ultra-low ESR in a compact case size. View All Articles by AVX Corp., Fountain Inn, S.C.